I absolutely love the blush and white stripes on this skirt, the birdcage style and box pleats make this skirt quite full when it's on. 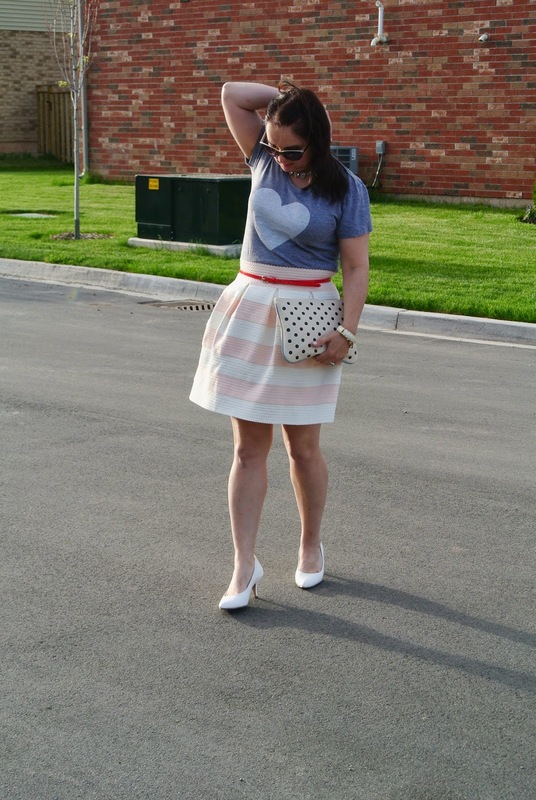 I paired this with an adorable heart t-shirt from a great Canadian company Confetti and Co. These white heels are on repeat because they are amazing and so comfortable!